In love, absence makes the heart grow fonder. In the workplace, however, absence management can make company leaders sing a much different tune. 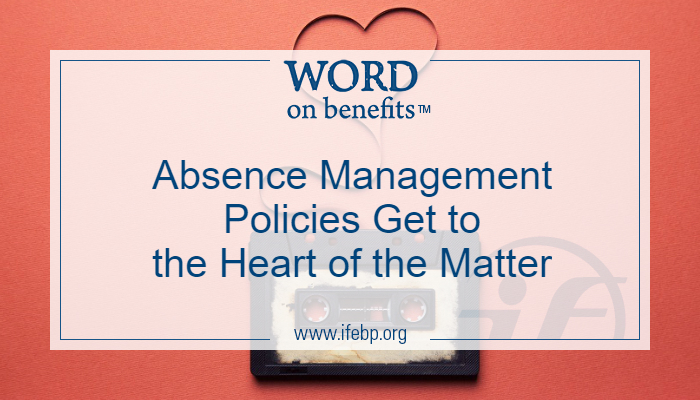 No employer is about to pen a love song for the estimated $225.8 billion annual cost of absenteeism in the United States. A similar note rings true to the north, with the Conference Board of Canada estimating that employee absences cost the Canadian economy $16.6 billion a year. 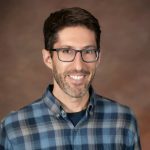 If employee absences have made your organization lose that loving feeling, take heart from the romantic tunes below and start working on a new relationship with absence management—a relationship that includes clearly defined expectations, constant communication, prioritizing your needs and ongoing support. Here are four areas of focus for a regret-free absence management program. I’ll Tell You What I Want, What I Really Really Want. It is vital for an organization to define a comprehensive attendance management policy, writes Amélie Meilleur, practice leader, vice president health, disability and wellness for the Cowan Insurance Group, in her article on best practices for absence management in the May/June issue of Plans & Trusts magazine. Time After Time. From casual time away to time off for long-term leaves and/or disability, the policy should address a full range of absences. In Your Eyes. Create a clear, concise policy that your employees can readily understand, and include consequences for not adhering to expectations. I Just Called to Say I Love You. Once a policy has been defined, a company should keep things fresh with regular communication. For example, organizations might address prevention and wellness efforts for both absenteeism and presenteeism—when workers are physically at work but are hindered by an illness or mental and emotional issues that can lead to exhaustion, poor health and reduced productivity. Baby, I Love Your Way . . . Every Day. Employers often underestimate the power of direct, day-to-day communication to reduce incidental absences, Meilleur writes. Effective outreach also can help to shorten longer term absences by increasing employee awareness and utilization of resources such as employee assistance programs, wellness reports, health tips and online tools. Let’s Stay Together. Front-line management or a human resources representative should maintain contact with employees during leave. Send updates on any changes within the department and the company, Meilleur suggests, because maintaining relationships can help to reintegrate absent employees when they return to work. If I Could Turn Back Time. It’s important for organizations to explain policies and procedures to supervisors and executives. Quarterly or biannual reviews of absence trends and results can identify what’s working as well as areas for improvement. More Than Words. Beyond communication, proper training is essential. Organizations should ensure that managers are trained on how to recognize and address potential problems, how to intervene and what resources are available, Meilleur states. You Raise Me Up. Company education for management can include the benefits of workplace accommodations to avoid or reduce an absence, including increased productivity, better team perception and a rise in employee morale. My Heart Will Go On. To make sure the employer-employee relationship doesn’t lose its luster during an absence, employers should create a return-to-work protocol for management and workers. Love Will Keep Us Together. Maintain contact during and after an absence, Meilleur writes. Help employees plan for their first day back before they return to work. Check that employees have access to buildings and workstations, including security access and passwords. Greet them in person when they return, and introduce a short-term plan for moving forward toward full-time work. It Takes Two to Tango. Absence management requires active participation from employees and management. Workers can increase accountability for their personal wellness, and management can do the same through improvement measurements, practical tools and a more personal touch in the return-to-work transition. A strong commitment to absence management may help your company reduce absences, increase productivity, better its bottom line and improve employee attraction and retention. Your company might not write the songs that make the whole world sing, but penning the right policies can keep your organization humming—and that’s always worth singing about.